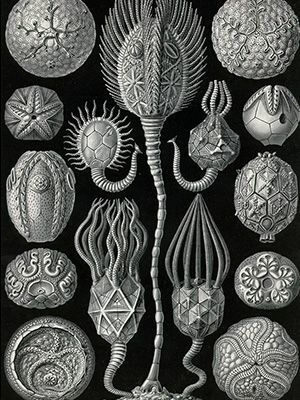 Blog - Ernst Haeckel - "Art Forms of Nature"
Ernst Haeckel - "Art Forms of Nature"
Ernst Heinrich Philipp August Haeckel was born in Potsdam, Prussia on 16 February 1834 and passed away on August 9, 1919. He was a German physician, biologist, philosopher, professor, naturalist, and also a great artist who uncovered, described as well as gave names to thousands of new species of animals, mapped a genealogical tree regarding all life forms, and also introduced a number of terminologies in biology, which includes ecology, anthropogeny, phylum, stem cell, phylogeny and Protista. Ernst Haeckel graduated from the Domgymnasium cathedral college in Merseburg in 1852. Thereafter, he traveled to Berlin and also Wurzburg to learn medicine. He really interacted with other renowned scientists of his time. He obtained a doctorate in zoology in 1857 and his career tremendously motivated his admiration for art, moreover he usually had sketchpads as well as watercolors with him anywhere he traveled to. Haeckel fell in love with Agnes his wife and married her in 1867. And he retired from teaching job at the age 75. 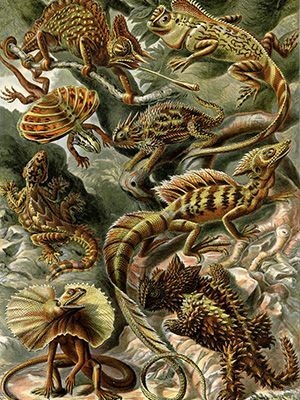 Haeckel's published artwork consists of over one hundred comprehensive, multi-colour illustrations of animals and also sea creatures. In 1899 he started publishing the pinnacle of his Artworks – "Art Forms of Nature" (Kunstformen der Natur in his indigenous German language). This is yet a remarkable record of life on earth which impacted not just in science, architectural design of the earlier 20th century but also in the art, bridging the gap between art and science. Above all, various artists connected with “Art Nouveau” were inspired by Haeckel's illustrations or images, such as René Binet, Hans Christiansen, Karl Blossfeldt, and furthermore Émile Gallé. A single prominent scenario is the Amsterdam Commodities Exchange created by Hendrik Petrus Berlage, it was to some extent influenced by Kunstformen images. 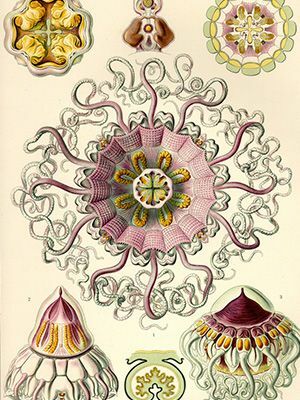 Based upon Haeckel scholar Olaf Breidbach, the work was "not simply a book of illustrations but in addition, the conclusion of his perspective of his world, "The overriding notions of the Kunstformen plates are symmetry as well as organization. The themes were chosen to consist of organization, from the scale designs of boxfishes to the spirals of ammonites to the wonderful symmetries of jellies and even micro-organisms, although illustrations making each one plate are structured for optimum visual effect. 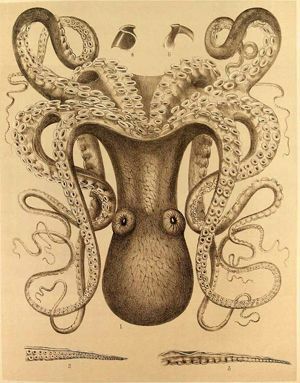 While a scientist, Ernst Haeckel travelled to Ceylon, Sicily as well as the North Sea. He prepared several on the spot paintings all through his journeys. His subject matter involved undersea plants, aquatic species, birds, frogs as well as micro-organisms. About one hundred of his illustrations were part of his book “Kunstformen der Natur “, a German for “The Art Forms of Nature”. The Art Forms of Nature is undoubtedly one among the amazing things of the nineteenth century in terms of describing nature. 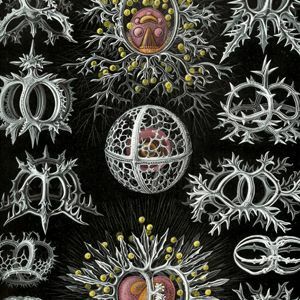 Among Haeckel’s works contained in this collection are “Anthomedusa ”, “Sea Anemones,” Box Jellyfish”, “Trachylina” and “Moss ”. His works are usually called following their subjects and all includes excellent details together with rich colors. This attracted the attention of most audience. Moreover, The Art Forms of Nature was meant to inspire the attention of the public in naturalism.